While the weekend started off well for A.J. Emms, it didn’t finish off as he wanted with a mechanical issue taking him out of the running. As noted, Saturday afternoon went well for Emms as he placed third in his first heat, followed by a victory in the second qualifier. Starting 12th in the feature, he began to make his way up through the field immediately, getting alongside John Harper for sixth at Lap 3. He was able to clear him in the next couple of laps, before getting alongside Marty Monette for fifth at Lap 8, and completing that pass a lap later. With seven top-fives this season, Emms slips back to second in the standings, just 13 points behind Luke Gignac for the top spot with two races remaining. Emms and company will be back in action at the next OSCAAR Modified event, which is scheduled for Flamboro Speedway on September 30 and October 1, as part of the track’s Frostoberfest weekend. 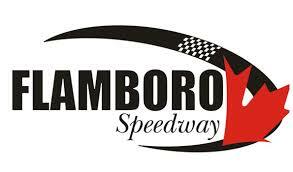 Stay tuned to OSCAAR’s website (http://www.oscaar.ca) and Flamboro Speedway’s website (http://www.flamborospeedway.ca) for details surrounding the event.